Cartier launched its Drive collection in 2016, and two new models were added in early 2017. The Moon Phases watch has the distinctive squarish shape that hallmarks Drive de Cartier, width 41 mm, thickness 12.15 mm. The octagonal steel crown is set with a faceted synthetic spinel. The silvered flinqué dial does a lot to create the classic Cartier look, an effective combination of refinement and masculine toughness, creating the perfect backdrop for the giant Roman numerals and the blued sword-shaped hands. The watch has an unusual feature: no seconds hand. 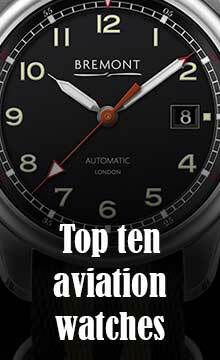 It’s the seconds hand whose constant sweep shows that a watch has a mechanical movement rather than quartz. Perhaps that’s why the word “Automatic” is displayed so prominently on the moon phase subdial. The strap is in alligator leather with folding buckle. Water resistance is the standard 30 metres (3 bar). The timepiece is powered by the new in-house movement, 1904-LU MC. It runs at 28,800 vibrations per hour (4 Hertz) and it tracks the moon phase with high precision, requiring one day’s correction every 125 years. Power reserve 48 hours. The calibre can be viewed through the sapphire caseback. 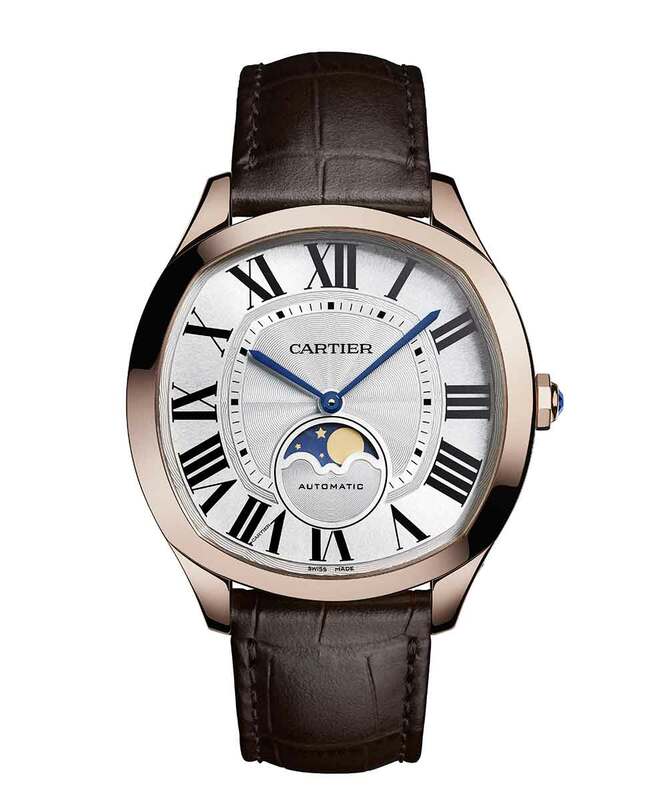 The Drive de Cartier Moon Phases is available in pink gold, with brown alligator strap, and in steel with black alligator strap. 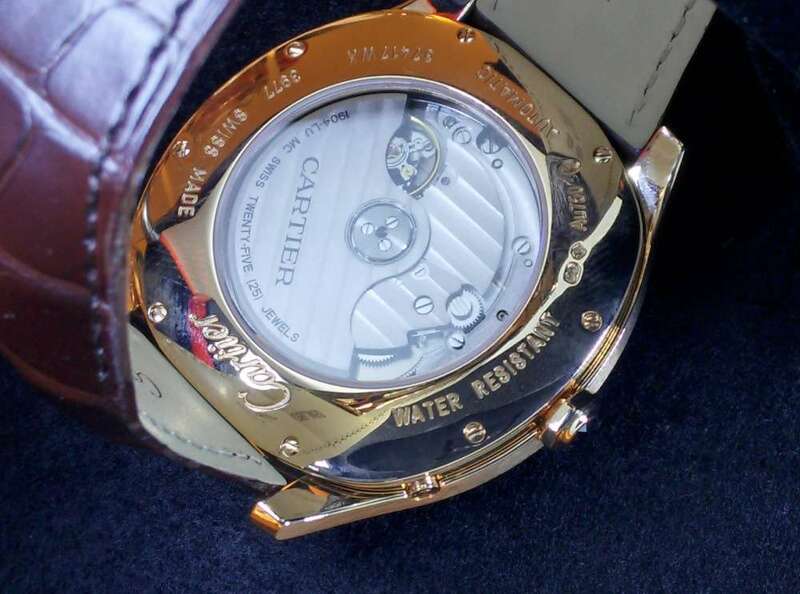 The pink gold version is reference WGNM008, price before tax €17,000, $16,700. The steel version is reference WSNM008, price before tax €6,300, $7,850. Available from April 2017.